Stivers Ford in Montgomery near Prattville Can Find Your Used Car For Sale Today! Are you looking for the perfect used car, but not sure if Stivers Ford has it in stock? Then you will be happy to know that our free and complimentary used car locator service can help you find the pre-owned car, truck, or sport utility vehicle (SUV) that piques your interest. The best part? By leveraging the power of this service, you can not only get the vehicle you want, but also avoid all of the hassle and stress that comes with dealing with other, less reputable, dealers in the Montgomery area near Prattville. Considering how important this process is to making sure your daily drive is always a breeze, why would you ever settle for less than the industry-leading commitment to excellent customer service and support found at Stivers Ford? 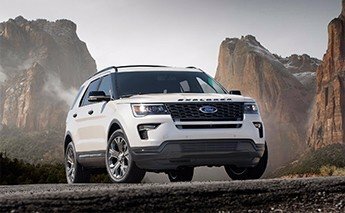 If you are ready to learn even more about how our used car locator service works, feel free to spend a few minutes with the team here at Stivers Ford as we break down all of the details that go into this process. From here, you will have all of the info you need to make a smart and savvy choice regarding your automotive future. The best way to get this conversation off to a running start is by offering up a little insight into how we find the right used car for you and your family. To start, Stivers Ford needs a little bit of information from you to learn about the vehicle that suits your interests. Fortunately, the convenient and easy-to-use form found at the bottom of this page is more than capable of funneling this insight straight into the hands of our pre-owned vehicle experts. Going a step further, the Stivers Ford teams make it a point to go above and beyond for our valued customers in Montgomery near Prattville in every manner possible. To back up this bold claim, you can always count on our used car locator service being completely free of charge to you. While other dealerships might aim to charge you an arm or a leg as part of assisting you in the search for the right used car, we feel that helping out on this front is just part of what makes a great dealership experience. Never Be Afraid to Consult with the Stivers Ford Team – If anything changes during this process, do not be afraid to let us know! We are always here to help you, so feel free to stay in touch and keep us updated if you want to make any changes or adjustments to the search for you next used car, truck, or SUV. By following along with these guidelines, we have no doubts that the pre-owned vehicle that suits your needs (be it a Ford Certified Pre-Owned or an offering from another manufacturer) will be parked in your driveway in no time. At this point, there is probably only one question left on your mind: "How do I get started with finding the right used car for me?" Fortunately, getting the ball rolling on this process is as simple as filling out a fast form or picking up your phone and making a quick call to Stivers Ford. All we ask of you is to simply fill out the form below when it is convenient for you (remember to be as descriptive as possible! ), and we will do the rest. If you would rather discuss this process in greater detail, feel free to give us a call at (888) 825-8308 or stop by when you are in the neighborhood; no appointment is necessary because Stivers Ford's doors are always opened to our friends in Montgomery near Prattville!